The Gremlins line from NECA has turned into a slow drip over the last few years. NECA constantly look for the right chance to unleash a highly sought after figure from the great line up of characters from the films. Recent releases such as the Bat Gremlin have become instant fan favorites. After releasing some of the highly anticipated Gremlins and Mogwai from both films, fans are getting a chance to own the very first Gremlins figure in the Ultimate Series. 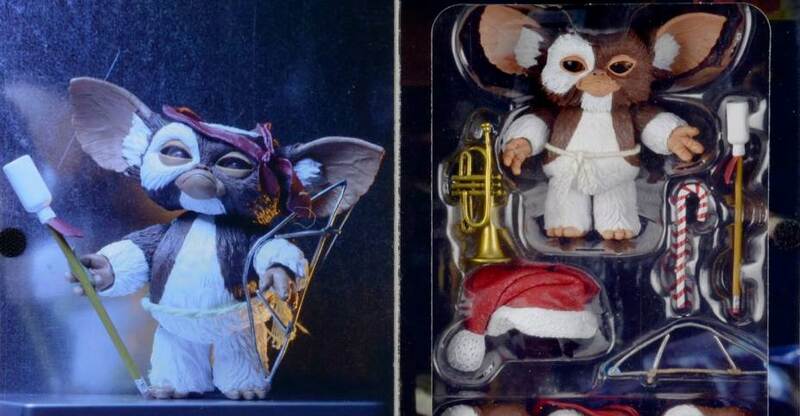 It was only natural for that release to be Gizmo, as NECA took multiple variations of the figure and combined them into one great package. We grabbed the Gremlins Ultimate Gizmo Figure from Toyark sponsor Dorkside Toys. Read on to check out over 40 photos and a review. 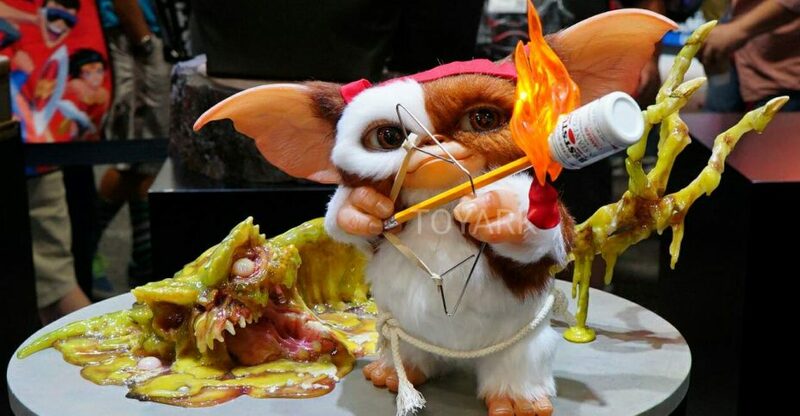 A limited number of Gremlins – Ultimate Gizmo Figures are available direct from NECA’s Ebay Store and NECA’s Amazon Store. the figure is not scheduled to begin shipping to retailers until next week, and won’t hit store shelves until early next month. Fans looking to pick this up now can do so by clicking one of the previous links. The figure is priced at $24.99 plus shipping. 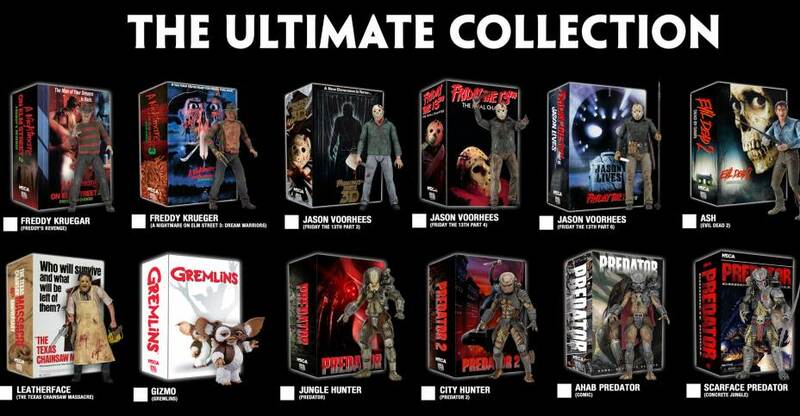 We’ll have our own review of the Ultimate Gizmo Figure once it’s released at retail. 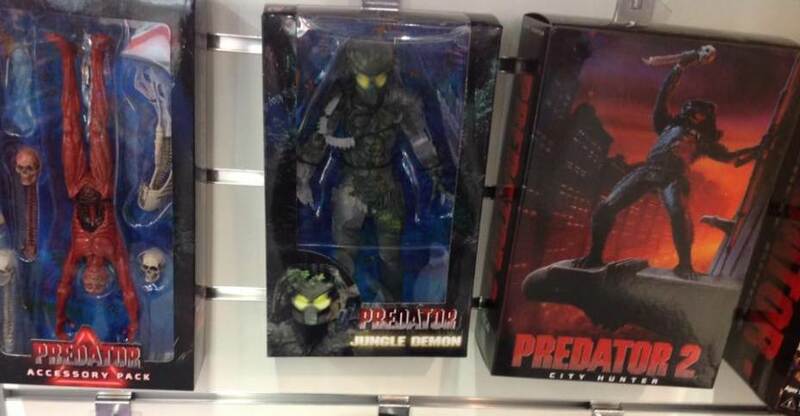 NECA has released new official in-packaging photos for their first Ultimate Gremlins figure. 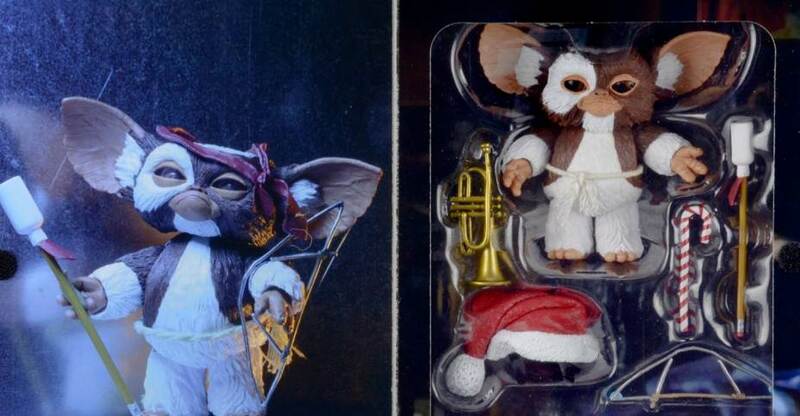 The new photos showcase the final packaging design for their Gremlins Ultimate Gizmo 7″ Scale Figure. The figure will include multiple interchangeable faces, articulated ears and eyes, accessories from both Gremlins films and more. Ultimate Gizmo is scheduled for release in this month. You can see all of the new photos by reading on. Nuremberg Toy Fair 2017 is currently taking place in Germany. the event, which isn’t quite as big as New York Toy Fair, does offer a few sneak peeks at upcoming items fro ma few companies. Keep in mind, nealy everything currently being shown are items that most companies have announced. 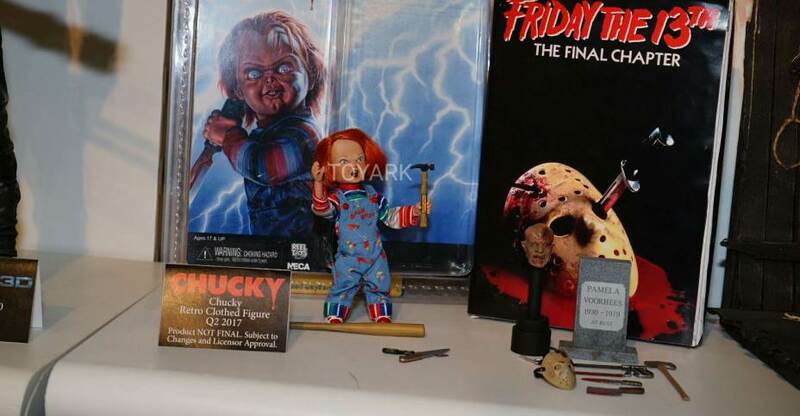 A few companies, such as NECA and McFarlane have a few newer items on display. I’ll break down a bit what were seeing, courtesy of SpaceFiguren. Read on for images of those. You can see the rest of the images Here. Keep in mind, most of them are mixed together with little to no info, as many of the displays are for distributors and stores as opposed to company booths. 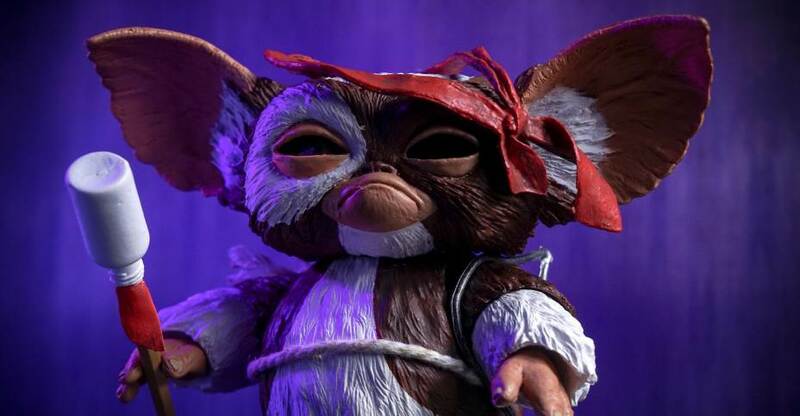 NECA has revealed photos and details for their first Ultimate Gremlins figure. 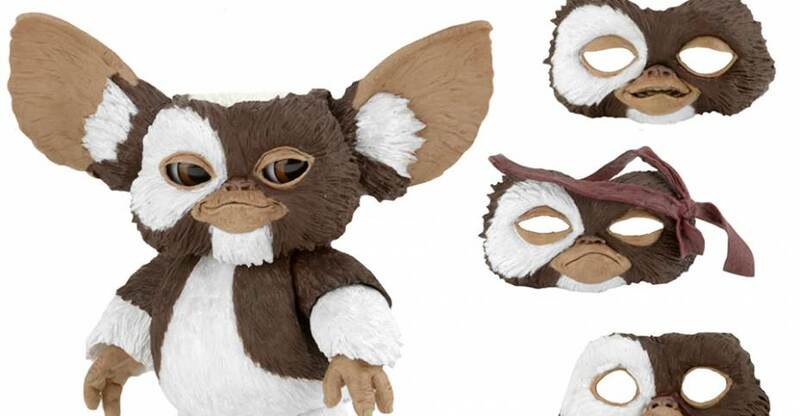 The update gives us a look at their upcoming Gremlins Ultimate Gizmo 7″ Scale Figure. The figure will include multiple interchangeable faces, articulated ears and eyes, accessories from both Gremlins films and more. Ultimate Gizmo is scheduled for release in February 2017. You can see all of the new photos by reading on.